If you’re planning a weekend excursion around Long Beach, Torrance, or Fullerton, you’ll want plenty of room for your family and luggage or other items. You may also want one with a high towing capacity, in case you want to bring along a camper, small boat, or other equipment. While the 2018 INFINITI QX60 offers those capabilities, you’ll need to learn more about the vehicle to help determine if it’s right for you. 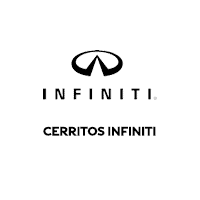 In this INFINITI QX60 dimensions and towing capacity review, our team at Cerritos INFINITI will give you a rundown of everything you need to know about this SUV to help make an informed decision. The 2018 INFINITI QX60 has a towing capacity of up to 5,000 pounds, when properly equipped. This way, you’re able to hitch any type of equipment for work or play to the back of your SUV. Front-wheel drive comes standard, and all-wheel drive is available. Plus, there’s the standard INFINITI Drive Mode Selector. This lets you choose between Standard, Sport, Snow, and Eco mode and will control the throttle response based on which one you select. The QX60 has three rows of seating for up to seven passengers with plenty of room to stretch out. There are 42.2 inches of front legroom, 41.7 inches of second-row legroom, 30.8 inches of third-row legroom, and 149 ft 3in of total passenger volume. When you need space for grocery bags, backpacks, or other items, the vehicle offers 16 ft3 of cargo space behind the third row. Fold down the 60/40 split-folding second-row bench seat and 50/50 split-folding third-row seat with recline, and that cargo room expands to 76.2 ft 3in. The 2018 INFINITI QX60 offers plenty of cutting-edge technology features to keep everyone on board connected and entertained. Standard features include Bluetooth® capability for streaming audio or making hands-free phone calls. There’s also a 3-month trial subscription to SiriusXM® Satellite Radio, which gives you over 100 channels of commercial-free music, along with sports, news, comedy, and more. The INFINITI InTouch™ system with HD Radio™ also comes standard in the QX60. This suite of digital applications and remote services lets you get directions to a new destination, enter appointments in your calendar, and more. It basically gives you the convenience and confidence you need for your daily drives. For backseat passengers, there are available dual 8-inch screens to watch movies or play games. There are also spaces for wireless headphones and a remote, plus storage for the entertainment you may bring along, like a portable DVD player. The INFINITI QX60 has the capability you need to tow any type of equipment, plus plenty of room for passengers and cargo. But to determine if it’s right for your travels around Long Beach, Torrance, and Fullerton, you’ll need to get behind the wheel. When you’re ready to experience this SUV in person, browse our inventory online before contacting our team to schedule a test drive at Cerritos INFINITI. We look forward to meeting you! *2018 EPA fuel economy estimates. Actual mileage may vary with driving conditions. Use for comparison only.